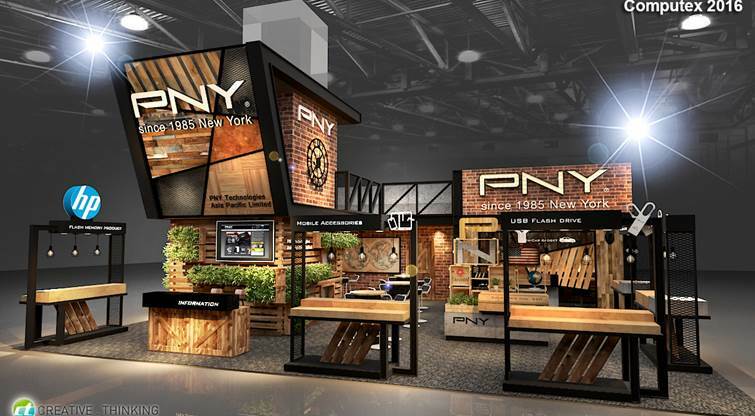 PNY Technologies®, Inc., world renowned manufacturing for USB and Memory products, announced its participation in the grand Computex Taipei 2016. Computex 2016 is the largest ICT trade show in Asia and the second largest in the world, attracting more than 130,000 visitors, including over 39,000 international visitors every year. Global ICT show will feature the latest innovative technologies comprising the IoT (Internet of Things) applications that are available in security, smart home and entertainment, 3D printing, wearables, and automotive electronics. Marking its 36th edition in 2016, Computex Taipei will be held in Taipei Nangang Exhibition Hall from May 31st to June 4th, 2016. This event will feature more than 1,600 exhibitors participating with more than 5,000 booths. The Apple Duo-Link R is the best travel mate for iDevices with the built in MicroSD card slot for unlimited storage. One can easily transfer movies and music from the Duo-Link to Apple® smartphone or tablet without the need for iTunes support or a network. The Duo-Link makes transferring and sharing files between iOS devices easier and faster. It comes in a sturdy metal frame with a matte texture making it resilient to scratches and fingerprint dust. PNY has launched the Magnet Car Vent Mount Smartphone holder that allows one to use their smartphone for navigation safely while driving. The magnetic mount and plaque are compatible with a wide range of smartphones making it easier to attach and detach your phone. The mounts 360 degree rotation enables you to change between portrait and landscape mode on your smartphone. It easily attaches to most car ventilation grilles and comes with an adjustable solid clamp if additional adjustment is needed. The CS1311 is an entry level SSD designed for an easy and cost effective HDD replacement to help boost your systems performance. This SSD features 5.2inch SATA (6 GB/s) with up to 960 GB memory and exceptional performance offering up to 550MB/s seq. read and 520MB/s seq. write speeds. The CS1311 is highly durable and supports up to 3 years of Warranty.